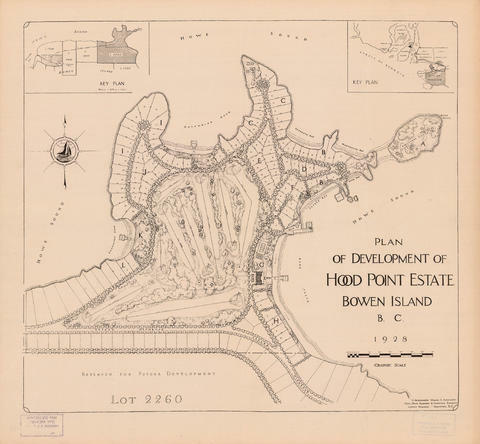 Item is a map showing division of Lot 823 on Bowen Island into smaller parcels of land and the proposed construction of a golf course. 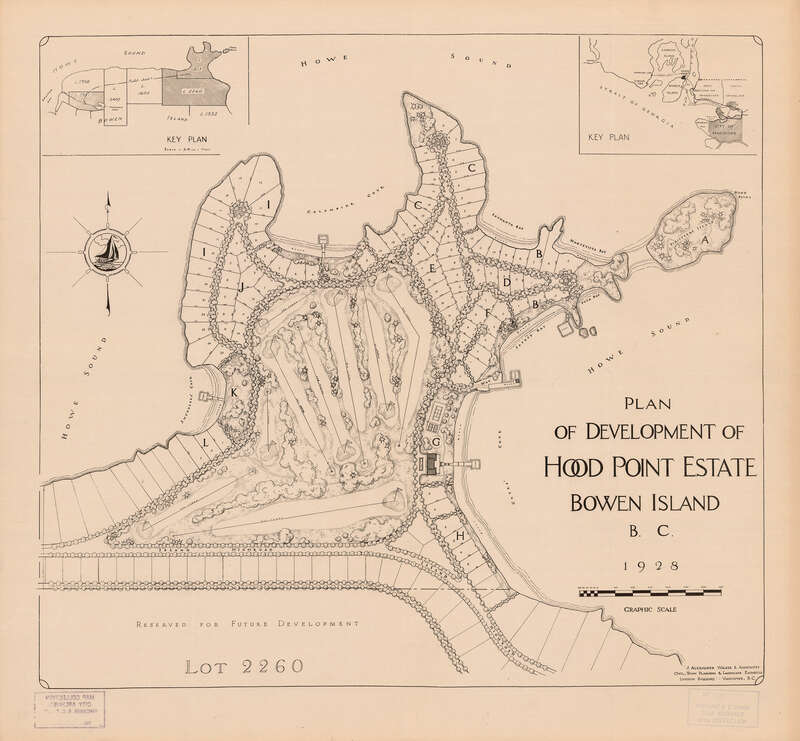 Two key plans show the location of Lot 823 in relation to the rest of Bowen Island and the position of Bowen Island in relation to Vancouver. A microfiche copy is available in the reading room.